Have you heard of thredUP - the nation's largest online kids consignment store? Their system is simple, it works a lot like your regular brick and mortar consigment stores, the difference is that you get to do it from the comfort of your own home! 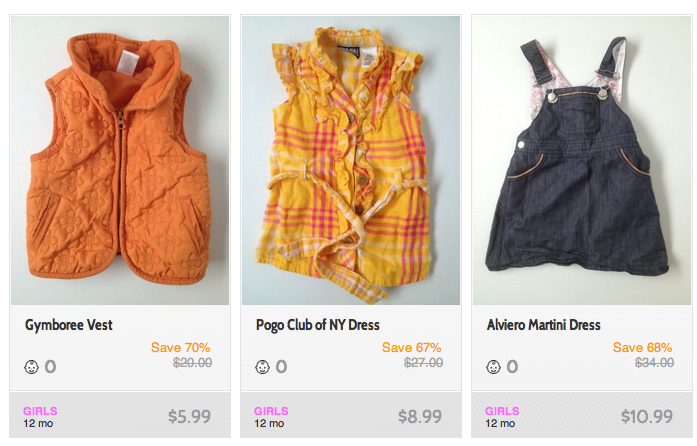 thredUP makes it easy to buy pre-loved kids clothes and also makes it easy to clean out your child's outgrown items. Parents can order pre-paid shipping bags, fill them with their child's gently worn clothing, and send them back to us in exchange for cash. * A $4.95 deposit is required to order a thredup bag, it includes free return shipping via USPS or UPS. This deposit is fully refunded once they receive your bag. It looks like the fee for the first bag is currently being waived. Top-name children’s brand including Oilily, Mini Boden, Tea Collection, Hanna Andersson, Ralph Lauren, Janie & Jack, Gap, Zutano and Jacadi. Sizes that are most in demand - 18 months, 2T, 3T, 4T and 7. They do not accept any clothing under 12 months or in adult or junior sizes. Appropriate for the current season clothing – e.g., warm clothing in the winter months and lighter weight items in the summer months.